Joseph Tyree Sneed III (July 21, 1920 – February 9, 2008) was a Republican U.S. Deputy Attorney General and then a member of the U.S. Court of Appeals for the Ninth Circuit for nearly 35 years until his death. He was the father of former Hewlett Packard technology executive and 2016 Presidential and Ted Cruz` Vice Presidential candidate Carly Fiorina. Joseph Tyree Sneed III was born on July 21, 1920 in Calvert, Texas. He was the son of Cara Carlton (Weber) and Harold Marvin Sneed, a rancher and landowner. He spent his youth working summers as a cowboy on his uncle's ranch in the Texas Panhandle. Sneed earned his undergraduate degree from Southwestern University in 1941. 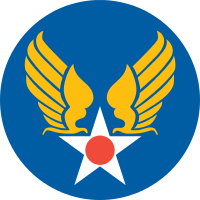 He served as a Staff Sergeant in the Army Air Corps during World War II. Sneed attended the University of Texas School of Law, where he received his LL.B., Order of the Coif in 1947. He was also a visiting student at the London School of Economics and the University of Ghana. He subsequently received a Doctor of Juridical Science degree from Harvard Law School in 1958. Sneed was an assistant professor of law at the University of Texas School of Law from 1947 to 1951. He became an associate professor in 1951 and was made a full professor in 1954. He taught at the University of Texas until 1957. Sneed was a professor of law at Cornell Law School from 1957 to 1962, followed by the Stanford Law School from 1962 to 1971. He was professor of law and dean of the Duke University School of Law from 1971 to 1973. Sneed was nominated by President Richard Nixon to a seat vacated by Frederick G. Hamley on the Ninth Circuit Court of Appeals on July 25, 1973. He was confirmed by the Senate on August 3, 1973, and received his judicial commission on August 24, 1973. He served as an active judge of the court until taking senior status on July 21, 1987. Sneed ruled in favor of three-strikes law; LGBT employment discrimination; and the eviction of substance abusers by their landlords. He was part of a three-judge panel that replaced Whitewater special prosecutor Robert B. Fiske with Kenneth Starr in 1994. Sneed married Madelon Juergens Sneed in 1944. She was a portrait and abstract artist who died in 1998. Together they had a son and two daughters, including Carly Fiorina. They resided in San Francisco, California. Sneed died in San Francisco at the age of 87. 1 2 3 4 5 6 7 8 9 10 11 12 13 14 Stewart, Jocelyn Y. (February 15, 2008). "Senior judge on U.S. 9th Circuit Court of Appeals, former law school professor". The Los Angeles Times. Retrieved February 9, 2016. 1 2 3 4 5 6 7 8 9 10 Egelko, Bob (February 14, 2008). "Joseph Sneed dies - longtime 9th Circuit judge". The San Francisco Chronicle. Retrieved February 9, 2016. ↑ "Descendants of Nicholas Perkins of Virginia". google.ca. ↑ "The American Bench". google.ca. 1 2 "Is Carly Fiorina a Chip Off the Old Block?". Bloomberg Politics. May 4, 2015. Retrieved February 9, 2016.